I had a problem on Google webmaster, I found there are 56 posts on my blog, but the default atom.xml that was recognized by Google webmaster only had 26 posts in it. It the same used for the rss feeds. I wanted to submit all the posts to Google webmaster. Found these resources and wanted to share to those for whom this might help. 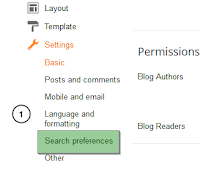 First we need to create a custom sitemap that will replace the default sitemap on blogger. From blogger, go to settings and search preference. 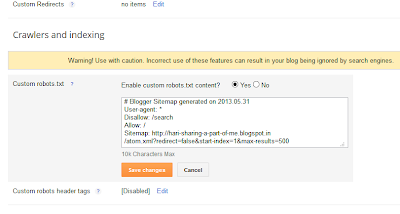 Now change "Enable custom robots.txt content?" to Yes. You now will see a text box. On the text box, paste the custom sitemap that you had copied. Google will automatically crawl your new sitemap on the next run, still it is advisable to submit your new sitemap to google. For this login to Google webmaster tool. Test this URL. On successful test, again hit "Add/Test sitemap" and submit the sitemap this time. You will see your new sitemap listed on the list of sitemaps and also you will see a change in the number of links submitted. With this you have done your part. 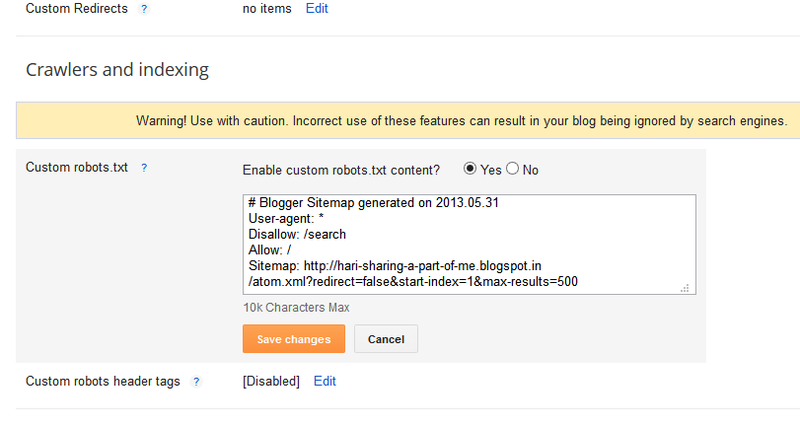 Now google will take care of it during the next crawl and index all the posts/pages left out in the default /atom.xml.